Let’s say that you suddenly had a decent amount of money fall into your lap. You haven’t treated yourself to an indulgent purchase in quite some time. What do you do with this windfall? Chances are that the first option you thought of was not “get a new HVAC system”. Well, it may not be the most exciting purchase that you’ll ever make, but the fact remains that you are going to need to replace your HVAC system at some point. It’s a matter of “when,” not “if”. So when does it make sense to go ahead and replace your HVAC system? That’s what we’re going to be discussing today. 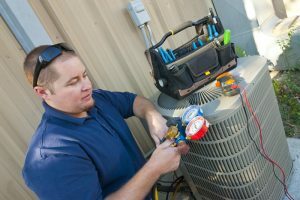 If you have any questions about your options, or if you’ve decided that now is the right time to schedule your Visalia, CA HVAC replacement services, don’t hesitate to give us a call. We’ll make sure that your new system is installed properly and that it’s just what you need to live in the comfort that you deserve. Is Radiant Flooring a Good Choice for Your Home? Of the various methods of heating your home, radiant flooring is likely the most efficient and consistently comfortable. Instead of warm air blowing haphazardly from vents near the ceiling, it provides a steady warmth rising from the floor consistently throughout the house. It offers a number of benefits, such as cleaner indoor air and reduced energy costs. There is no ductwork to leak or get dirty. Posted in Heating, HVAC system | Comments Off on Is Radiant Flooring a Good Choice for Your Home?